To mul­ti­plied tri­als He mul­ti­plies peace. Our Father’s full giv­ing is only begun. Does the gospel need a $300,000 sound/lighting/video sys­tem to reach hearts? Is the gospel rel­e­vant to the heart of some­one today, or must it be made rel­e­vant with pithy grit­ty angst, a rock-con­cert atmos­phere, and the Holy Spir­it rid­ing the back of the mega-church smoke machines? I dis­cov­ered that I have a mail­box at church last week, or rather that the A/V Min­istry does. This is appar­ent­ly a fix­ture estab­lished for two rea­sons. The first is for the mem­ber [dear­ly loved] of the con­gre­ga­tion who reminds me near­ly every week that our 87dB wor­ship ser­vice is too loud and pro­hib­i­tive to wor­ship. I found a col­lec­tion of pho­to­copied jour­nal arti­cles and even jour­nals them­selves with bits cir­cled and notes paper-clipped to pages out­lin­ing the dan­gers of expo­sure to heavy sound pres­sure lev­els. *chuck­le* I feel bad because there were some con­tri­bu­tions that had sat there lan­guish­ing unread for a long while. The sec­ond pur­pose is to serve as a place to stick all the adverts and cat­a­logs from sound/lighting/video/production sup­pli­ers. In perus­ing the pages of these full-col­or glossy tomes, I ran across tes­ti­mo­ni­als from church­es that had been helped by the catalog’s com­pa­ny. It was appar­ent that the answer to these ques­tions was indeed, ‘yes’. The pho­tos from these installs showed booths and stages that a pop-record­ing mega-artist and their sound-tech would feel quite at home with­in when per­form­ing. I am a crea­ture of ADD extremes, flights of fan­cy, bursts of strong (some­times unwar­rant­ed, often­times inad­vis­able) emo­tion. I know this. God knows this. My friends and fam­i­ly bless me (Thank you. I love you. Thank you God) with an atti­tude sim­i­lar to that which we Mis­souri­ans express towards our capri­cious weath­er… “If you don’t like it, wait five min­utes.” That’s not to say that I’m an unteth­ered kite being blown by a storm with no emotional/intellectual anchor. Quite the con­trary… I just have a heart that rush­es on ahead and a mind that labors to catch it up and remind it that has again run away with­out a prayer con­sult, and left all the notes and lessons learned behind, sit­ting use­less­ly in a dis­card­ed back­pack. The teth­er and the anchor are there, there’s just a regret­table amount of slack in the line that usu­al­ly runs-out with a semi-painful ‘snap’. I had a few hours of per­son­al cri­sis. Despair, dis­gust, sor­row. I just want­ed to turn in my mon­i­tor­ing phones along with my 2 weeks notice. This last­ed, for­tu­nate­ly, only a few hours, before rea­son reassert­ed itself and I was able to view my own goals to repair, expand, and oth­er­wise meet the mod­est ‘needs’ of our Sun­day ser­vice, with a peace­ful con­fi­dence that our answers to those ques­tions, if asked, would be a sim­ple, ‘no’, and if ever we stray into that men­tal­i­ty, we have only to reeval­u­ate and tell our­selves ‘no’. The Lord’s affir­ma­tion of the phys­i­cal and spir­i­tu­al tells me there’s a place for my body to be used right­ly… and there’s a place for my spir­i­tu­al depth… and when those two con­verge, you’ve found the beau­ty of wor­ship. You’ve found it. …and a church that thinks we can only wor­ship if we get our­selves all hyped-up in music is an extreme. It’s not going to work. What you win them with is what you win them to. While I would dis­pute that claim it was nonethe­less the label giv­en to me when I went to pas­tor a large, thriv­ing church in the Deep South — the Church at Brook Hills in Birm­ing­ham, Alaba­ma. From the first day I was immersed in strate­gies for mak­ing the church big­ger and bet­ter. Authors I respect great­ly would make state­ments such as, “Decide how big you want your church to be, and go for it, whether that’s five, ten, or twen­ty thou­sand mem­bers.” Soon my name was near the top of the list of pas­tors of the fastest-grow­ing U.S. church­es. There I was… liv­ing out the Amer­i­can church dream. But I found myself becom­ing uneasy. For one thing, my mod­el in min­istry is a guy who spent the major­i­ty of his min­istry time with twelve men. A guy who, when he left this earth, had only about 120 peo­ple who were actu­al­ly stick­ing around and doing what he told them to do. More like a minichurch, real­ly. Jesus Christ — the youngest minichurch pas­tor in his­to­ry. By the end of that speech, all the crowds had left, and only twelve men remained. Jesus appar­ent­ly wasn’t inter­est­ed in mar­ket­ing him­self to the mass­es. His invi­ta­tions to poten­tial fol­low­ers were clear­ly more cost­ly than the crowds were ready to accept and he seemed to be okay with that. He focused instead on the few who believed him when he said rad­i­cal things. And through their rad­i­cal obe­di­ence to him, he turned the course of his­to­ry in a new direc­tion. Soon I real­ized I was on a col­li­sion course with an Amer­i­can church cul­ture where suc­cess is defined by big­ger crowds, big­ger bud­gets, and big­ger build­ings. I was now con­front­ed with a star­tling real­i­ty: Jesus actu­al­ly spurned the things that my church cul­ture said were the most impor­tant. So what was I to do? I’m still trou­bled, but I think that’s a good thing. 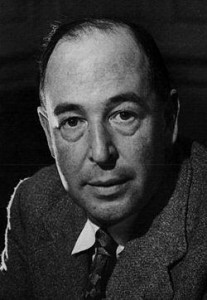 As Lewis says in Mere Chris­tian­i­ty, “We have cause to be uneasy.” and ” And I think if you look at the present state of the world, it is pret­ty plain that human­i­ty has been mak­ing some big mis­take. We are on the wrong road. And if that is so, we must go back. Going back is the quick­est way on.”. I want to stay uneasy. I don’t want to fall asleep. I want, at the very least, when I get excit­ed and think, “This would be so cool for our sound sys­tem.” to ever have a voice that reminds me to ask myself (and God), if the Gospel needs my tech, or even my tech­nique. Am I help­ing, or would I help more just by get­ting out of the way? What you win them .with. is what you win them .to. Author PuddleglumPosted on July 12, 2013 July 24, 2013 Categories Faith Ponderings, Quotational PonderingsLeave a comment on What you win them .with. is what you win them .to. I am com­ing to believe that this quote suf­fers from the same symp­toms with which Jim Elliot’s “He is no fool” quote is beset, in that there are many vari­a­tions float­ing around out there and lit­tle to sug­gest which has greater verac­i­ty. Anoth­er pos­si­bil­i­ty is that the author may have com­mu­ni­cat­ed, in print or per­son, the same mean­ing­ful phrase mul­ti­ple times and per­haps not the same way every time. 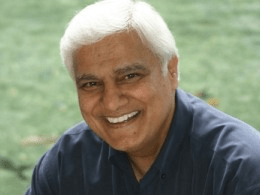 The first time I heard Ravi Zacharias relate this quo­ta­tion it was with the “more mul­ti­plied rea­sons” word­ing and that remains my favorite, but I’ve sub­se­quent­ly heard him quote it as “more plen­ti­ful rea­sons” and so I am left in doubt if one or the oth­er is real­ly more accu­rate. Search­ing the inter­webs I find both ver­sions in sim­i­lar abun­dance. — William E. H. Lecky, “The His­to­ry of Euro­pean Morals from Augus­tus to Charle­magne”. Him­self not a believ­er (Ravi describes his as a skep­tic) but unable to draw any con­clu­sion but this.